The more children learn about nature and wildlife, the greater their potential of becoming good stewards of the land. That’s the philosophy behind a program from Texas Parks and Wildlife called Project Wild. Project Wild is an environmental education program and conservation education program. The idea behind it is to help young people in grades K-12 learn about wildlife and understand natural resources. Texas Parks and Wildlife Outreach and Education staff lead workshops that teach adults hands-on activities that incorporate wildlife-related concepts into the teaching of basic learning skills…like math, science, language arts and social studies. Different types of activities take place at each workshop. Some include quiet activities like drawing, writing and coloring. Some involve activities can be somewhat physical. All activities have an environment theme. Project Wild workshops are available to anyone who works with children. Educators who complete the workshops earn 6 hours TEA-approved CPE and TEEAC Credit. Find upcoming workshops in the calendar section of the Texas Parks and Wildlife website. The Wildlife and Sport Fish Restoration Program supports our show. When Ryan Spencer worked for Texas Parks and Wildlife, he connected people with nature through the Texas Outdoor Family Program. I work out of a trailer and we go all over the state. It’s a unique office, but I really love it. 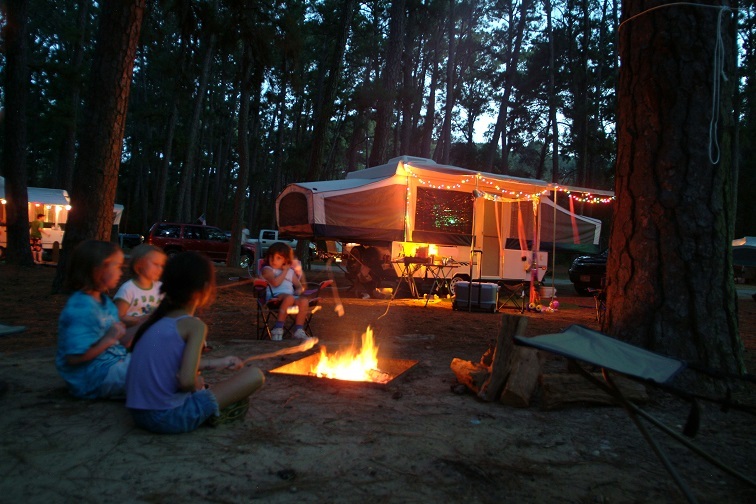 …go from park to park and show people how to go camping for the first time. Studies prove that when children spend time outside with their families they are healthier, happier and smarter. In addition, the family bond grows stronger. They have better family cohesion. So that means, that children who spend more time with their parents outside, become nicer teenagers when they grow up. Rally the family around outdoor fun and caring for our environment. We teach about “Leave No Trace” and how to protect the environment while you’re out there enjoying it. We want to give them some skills that they can repeat on their own when they come back from the state park. So, things like cooking on a camp stove; setting up a tent. To find a Texas Outdoor Family Workshop near you, visit the Texas Parks and Wildlife website. Out show receives support from RAM Trucks. Built to serve. Richard Louv coined the term “Nature Deficit Disorder” in his 2006 book, Last Child in the Woods. Three years later, the Children in Nature Network formed. And the real work began: to reconnect children and families with nature around the state. 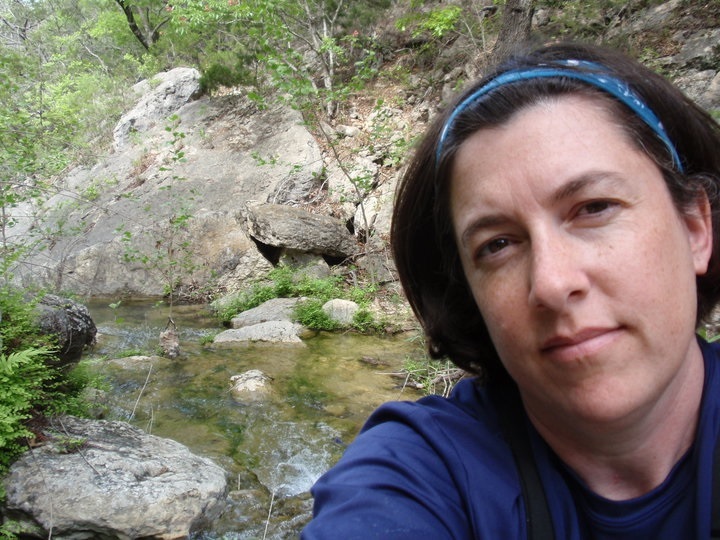 Jennifer Bristol coordinates the Texas Children in Nature program at Texas Parks and Wildlife. We work with over 500 partner organizations to look at how does the education, the conservation, the built environment, the faith communities, the different youth development communities, health community—all work in tandem to make sure that we are doing our very best to connect more children and families with nature. Children spend between 7 and 11 hours indoors with media. Health experts attribute this sedentary lifestyle to a rise in childhood obesity and behavior issues. When they’re not connected with nature, those things are more prevalent. Versus if they’re outdoors and they’re active and they’re enjoying playing in nature—those are healthy life choices that stick with them for their entire life. Teachers can help improve the future of our youth. What I talk to teachers about all the time is any lesson can be taught outdoors. It’s very beneficial; they’re more engaged while they’re out there. And most teachers that take that step out the door see good results. Find classroom resources on the Texas Parks and Wildlife website—click the Education tab. And, the Nature Rocks Texas website points families to nearby nature-based activities. Our series receives support from RAM Trucks; built to serve. 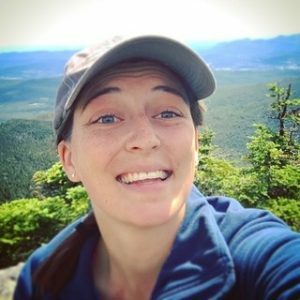 Carli Herz received her Masters’ degree from the School for International Training based in Brattleboro Vermont while working as a Texas Parks and Wildlife Americorps VISTA Volunteer. I’m in the second year of my program, and I was looking for a hands on practical experience to fulfill the field work portion of my grad program. I was focusing on sustainable development and training. When I was looking for jobs, the Texas Children in Nature position came up, and it fit really well with my long-term career goals and then my short-term goal of finishing grad school. And it [dovetailed] with my personal and philosophical goals of connecting kids to nature; so I ended up down here in Texas. She’s working with the Texas Children in Nature program to create equitable access to nature for everyone—no matter their socioeconomic status or where they live. Because we’re finding families that are in the urban core don’t have [easy] access to green spaces like some people might who live in the country, or Hill Country. And it’s not just the access to nature, either. It’s access to the knowledge of nature; being comfortable and confident in going out into nature. 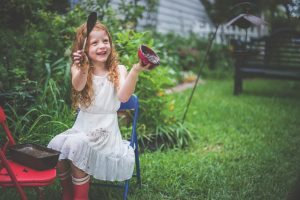 So, it’s creating that access not only to being able to get out to these green spaces, but it’s also getting equitable access to the knowledge and the resources so parents and teachers also feel comfortable leading their kinds in these nature experiences. 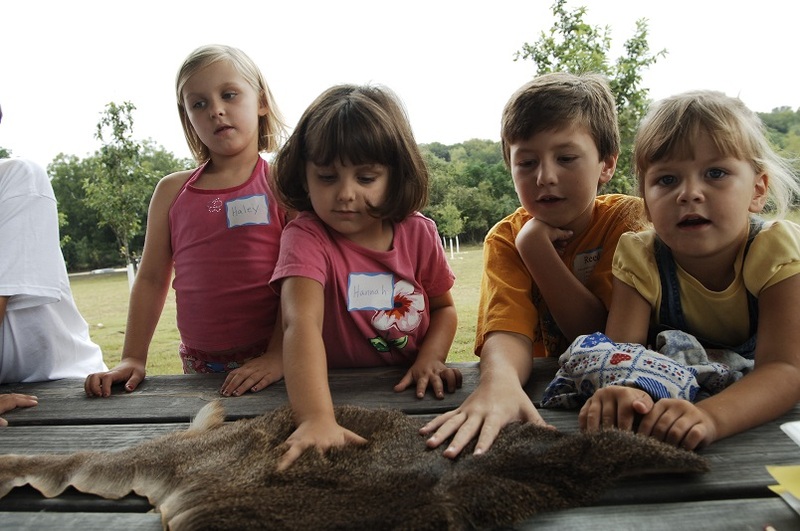 Find information about the Texas Children in Nature program on the Texas Parks and Wildlife website. That’s our show…. brought to you in part by Ram trucks: built to serve. You are currently browsing the archives for the Children in Nature category.